SNMP belongs to the communication protocols family and has become widely accepted somewhere around 1993 as a powerful method for TCP/IP networks management. The original SNMP concept designer is the IETF (Internet Engineering Task Force). SNMP protocol is adaptable and it is suitable for any TCP/IP based networks, as well as other types of networks. The main advance against traditional network management tools such as "ping", and "netstat" is in SNMP interoperability and universality. With SNMP you can monitor almost any network device regardless the fact it is hardware or software. SNMP gives you control to the information on the manageable device. The SNMP support in Icewarp Server is mainly purposed for integrators and developers. Majority of "normal" administrators would satisfy with ordinary statistics inside Icewarp Server Administration Console. 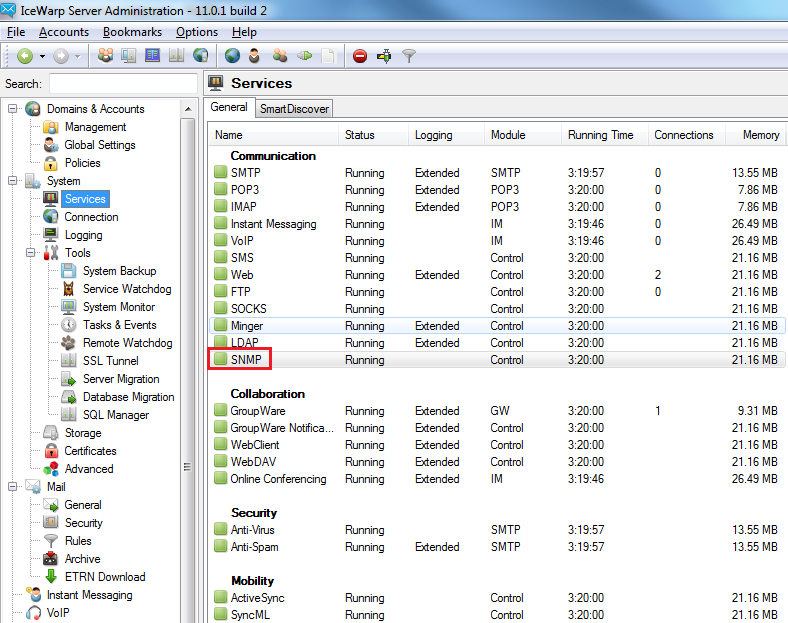 Icewarp Server has a it's own private MIB. You can find the list of the possibilities of SNMP protocol usage within Icewarp Server in the following file - snmp-mib.txt. The file also defines the structure of the queries and so called OIDs (object ID). The OIDs can be combined in many ways to fetch info about various aspect of your server. 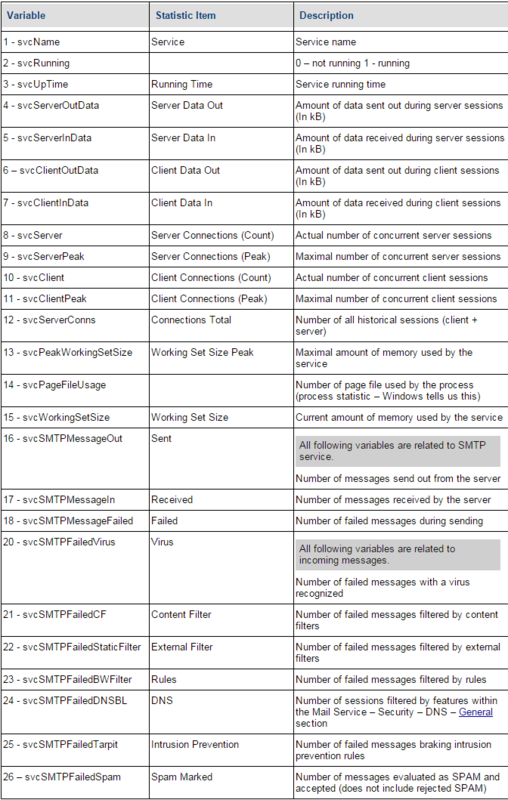 To be able to interpret these you need also an SNMP network manager utility for querying and connecting to your server. You can use e.g. snmpget or snmpwalk utilities to display the information http://net-snmp.sourceforge.net/.